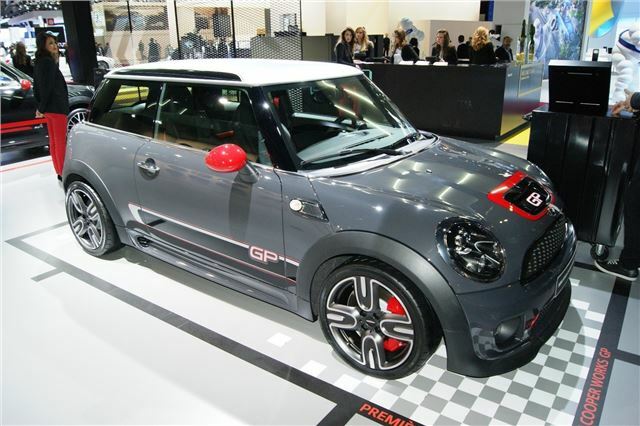 MINI has launched the John Cooper Works GP at the Paris Motor Show. 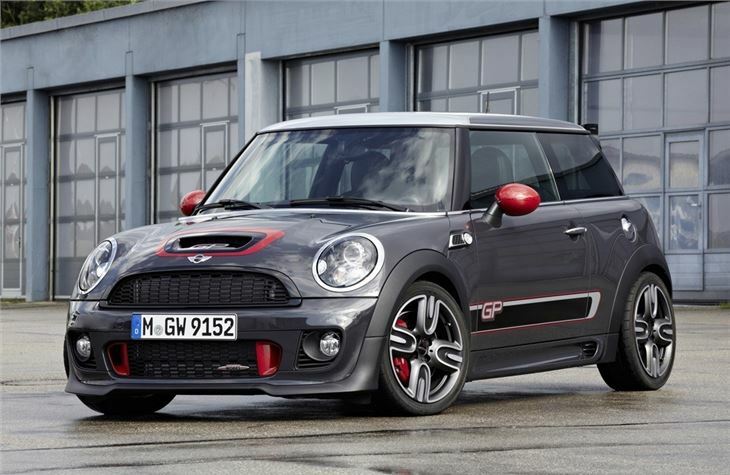 Limited to just 2000 units worldwide, the even higher performance version of the MINI John Cooper Works will cost £28,790 when it goes on sale in November. It's powered by the same 1.6-litre four-cylinder turbocharged engine that's been uprated to develop 218PS (7PS more) at 6000rpm along with 260Nm of torque. There's also an overboost function that increases this to 280Nm for short bursts and it gets a six speed manual gearbox. 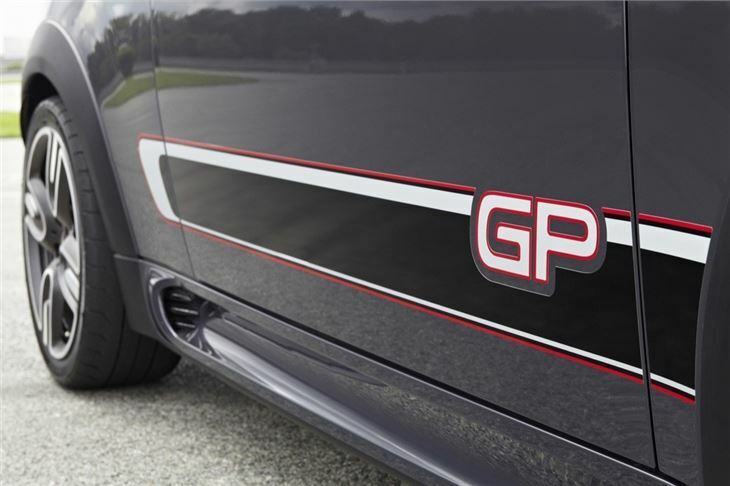 The GP is lighter than the standard John Cooper Works model thanks to the absence of rear seats, weighing in at 1160kg. 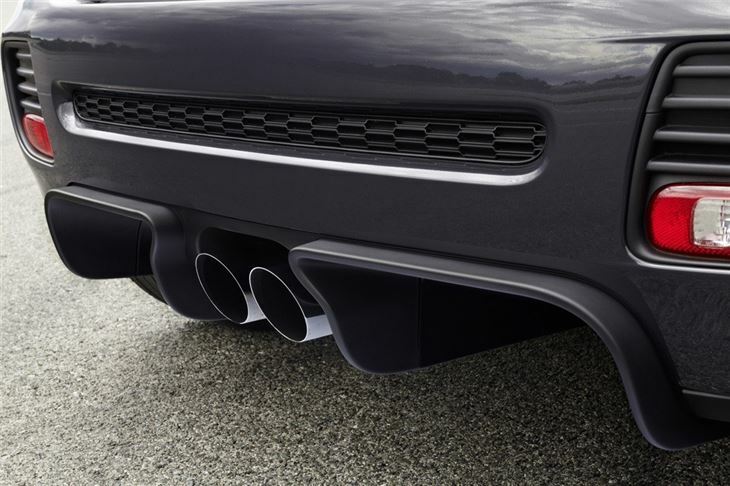 As a result it accelerates from 0-62mph in 6.3 seconds while the top speed is 150mph. Economy is good for a car with this much performance with a claimed average of 39.8mpg and emissions of 165g/km. Owners of the standard MINI John Cooper Works hatch are seeing 36.6mpg according to Real MPG. The performance MINI comes with individually adjustable coilover suspension, which allows ride height to be lowered by up to 20 millimetres - a first for a MINI. The front camber has been increased compared with the regular MINI John Cooper Works plus it gets a racing-derived sports brake system with vented discs at the front. 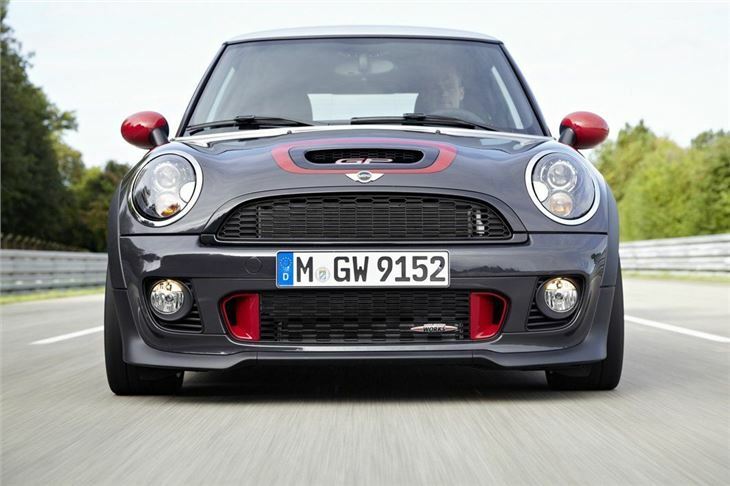 The low-weight 17-inch alloy wheels are exclusive to the MINI John Cooper Works GP and have 215/40 R17 sports tyres. Optionally, standard-size 205/45 R17 tyres are available on the same wheels. Inside there are Recaro sports seats with GP stitching plus a cargo guard to stop anything in the back from sliding around. The thick-rimmed steering wheel and dash top get red stitching plus there's a red cap to the chrome gear lever. 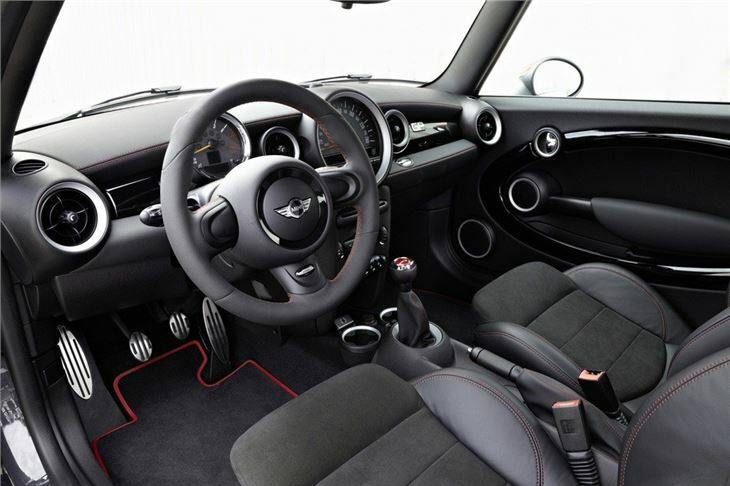 Other sports-focussed features include anthracite roof lining and dials plus piano black trim on the dash and doors.